The actress paired her Valentino couture gown with an unexpected accessory. 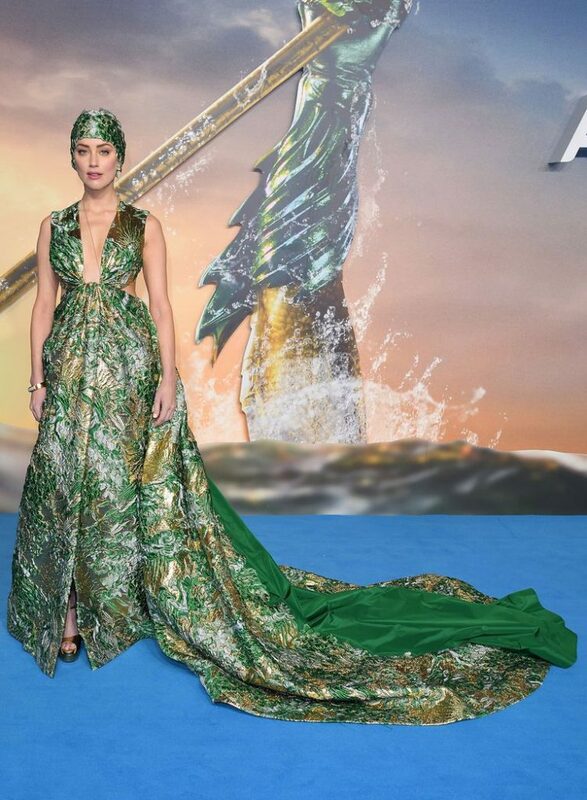 Amber Heard attended the premiere of Aquaman in London last night and chose to accessorise her Valentino couture gown with a very surprising accessory. 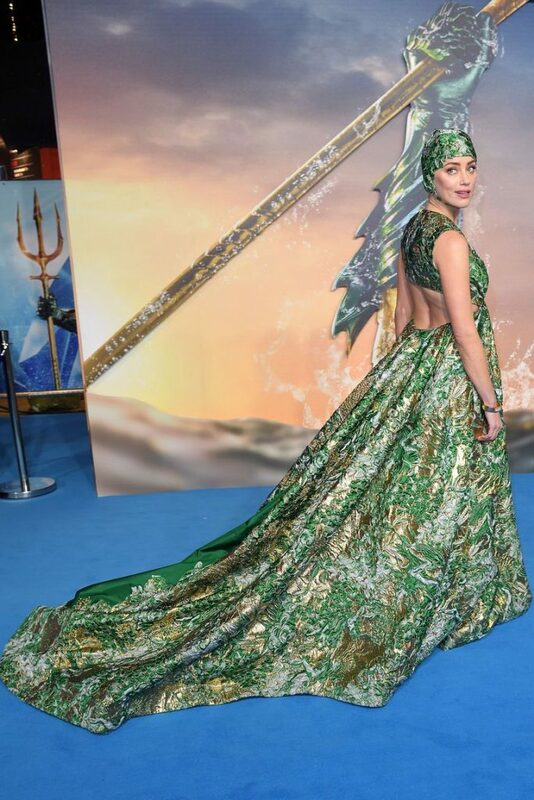 The actress appeared to be channelling her oceanic character, Mera, in the DC Comics movie, wearing a headpiece that resembled a swimming cap. 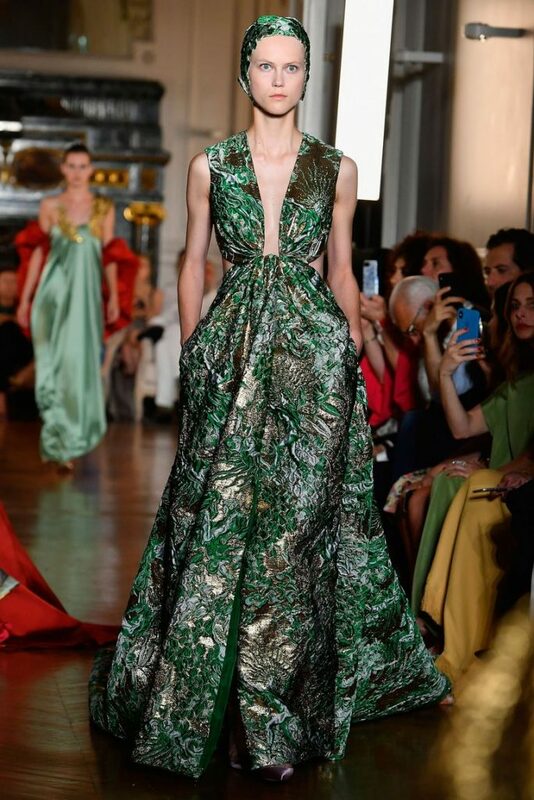 Heard chose a green brocade gown from Valentino’s autumn/winter 2018 couture collection with a plunging neckline and cut-out detail at the side. She accessorised with antique Victorian jewellery, including earrings made up of turquoise and pearl gems, which are available to buy from Beladora. The piece was a nod to the character Heard plays in the film, who is the love interest of Jason Momoa’s Aquaman and lives in the underwater city of Atlantis. Heard was joined on the red carpet by her co-star, Momoa, who went for an unusually low-key ensemble, wearing a leather jacket, jeans and boots. 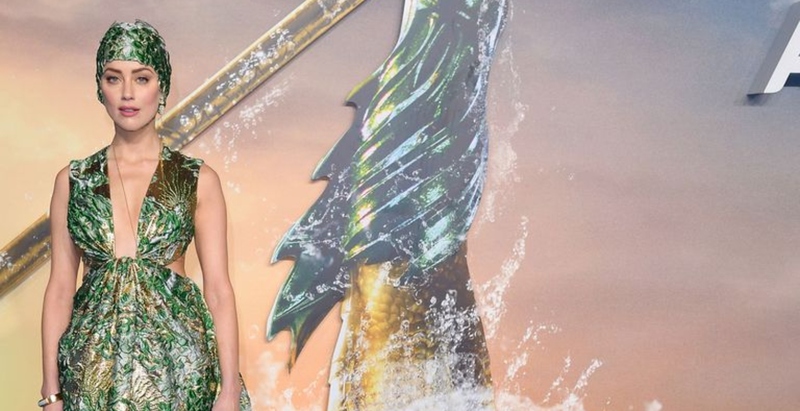 The former Bond girl has reignited the gender debate. #BareSkinChat With Chloe Moretz And … James Corden? An unprecedented collaboration in SK-II’s latest web series.